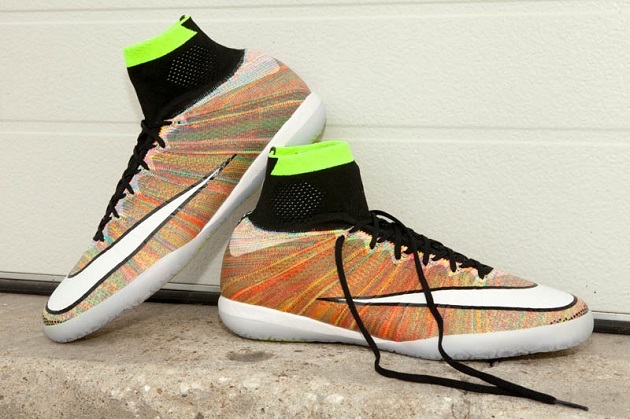 Nike does it again with their latest indoor shoe release. 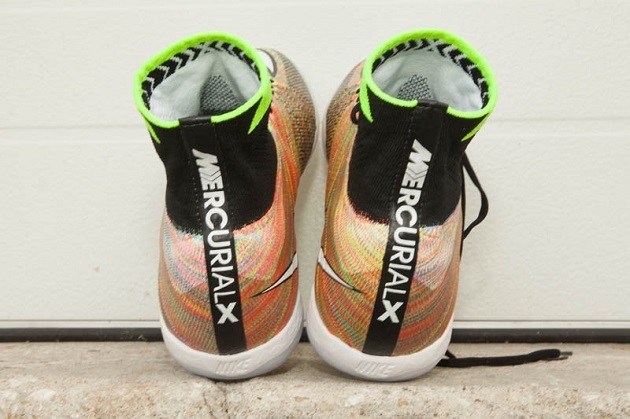 The MercurialX Proximo is top notch, using all of the best Nike technology to create a shoe that is great for indoor players. Let’s get down to the details. The shoe itself has a rainbow color scheme, although black and white are used for some of the main features. The Nike Swoosh logo on the upper is white with a black outline. This shoe has a Dynamic Fit Collar, which is black, with the MercurialX logo in white lettering on the heel. 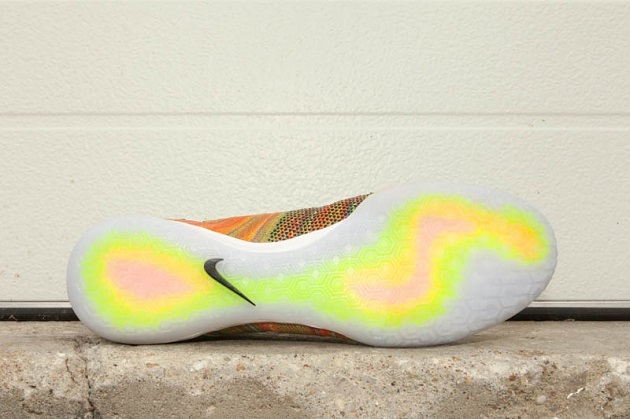 The outsole of the shoe is white, while the bottom of the shoe has a little bit of rainbow coloring creating a heat map look. The laces of the shoe are black, matching the Dynamic Fit Collar. 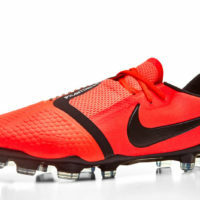 This shoe also features black specks called Nike Grind on the inside of the foot to help you be precise as possible when passing the ball. 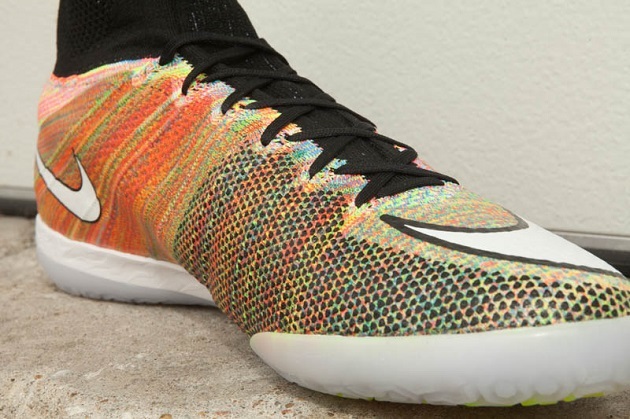 The specks also happen to blend right in with the rainbow coloring on the shoe. Nike has made comfort in their shoes a priority, and these are no exception. The Proximo features a locked down fit, with a tongueless Flyknit upper with Flywire cables seamlessly integrating areas of high breathability. They also have a one-piece upper that creates a barefoot feel. The bottom of the shoe has an outsole that provides precise traction for instant acceleration and quick moves. All in all, these shoes are a uniquely awesome look for the indoor courts. 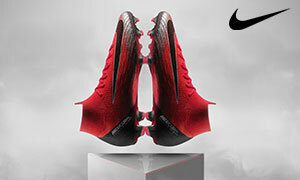 You can find your MercurialX Proximo indoor shoes at SoccerPro.